These are the instructions to root Google Nexus 9 Mobile 3G running on Android 7.0 Nougat using Chainfire-Auto-Root tool on Windows Computer. Remember: Your Google Nexus 9 Mobile 3G should have at-least 40-50 percent of battery to perform the rooting process. If you are having Google Nexus 9 WiFi Variant then head over to this Page for correct root guidelines. Step 1: Download and install Google Nexus 9 USB driver on your computer. If Google Nexus 9 Mobile 3G USB drivers are already installed then skip this step. Step 2: Now, enable USB Debugging on your Google Nexus 9 Mobile 3G Tablet. To enable USB Debugging: Open Settings > Developers Option > USB Debugging > Tick to enable. Step 3: Now, Power off your Nexus 9 Tablet. 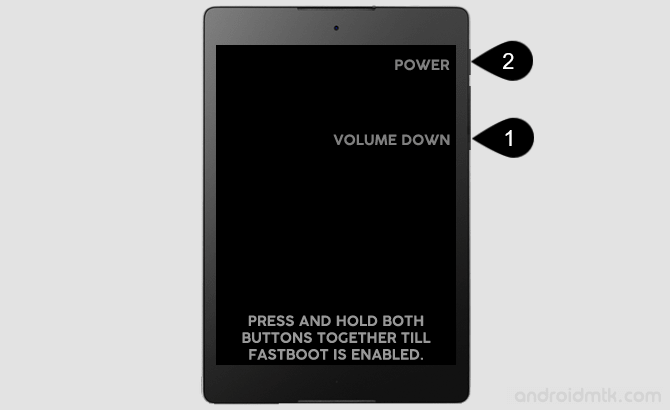 Step 4: Now, you have to enable Fastboot Mode on your Tablet while it is power-off. To enable FastBoot Mode: Press and Hold Volume Down and Power Button at same time until FastBoot Mode is enabled. Step 5: Connect your Tablet to the computer. Step 7: From the extracted file, Open root-windows.bat. Step 9: Press any key from the keyboard of your computer to begin the rooting process. Step 10: Now you will be able to see Unlock Bootloader Screen on your Tablet. Select Yes using volume up/down button and power button to continue. 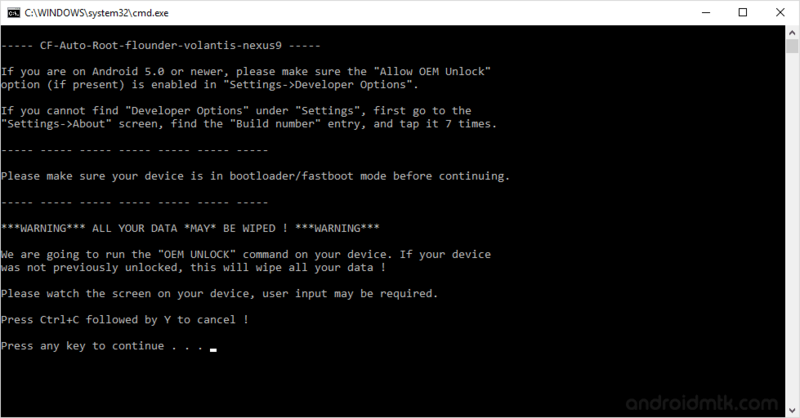 Step 11: Now, on the next screen you will be able to see the FastBoot Screen with Disabled Lock State (at button) which means you have successfully unlocked the bootloader of Nexus 9. Step 12: Now, Google Nexus 9 Mobile 3G will automatically show red android logo and rooting process will continue. Once Rooting process is completed your Tablet will restart automatically. Step 13: Your Google Nexus 9 Tablet will take 2-3 minutes to restart. Once your Tablet is restarted successfully, you will be able to see the welcome screen. Step 14: Now your Nexus 9 is rooted successfully. To confirm, Open App Drawer (menu) and you will be able to see a new Application installed called SuperSU. If you find this app then it means your device is rooted. [*] No data loss process: Your Data like contacts, pictures, videos, music and etc will be not affected with this tutorial. [*] Warranty Void: Your Google Nexus 9 Smartphone Warranty will be Void after following the above tutorial. [*] Credits: The Google Nexus 9 Mobile 3G Auto Root Tool was created by Chainfire, so full credits goes to him.